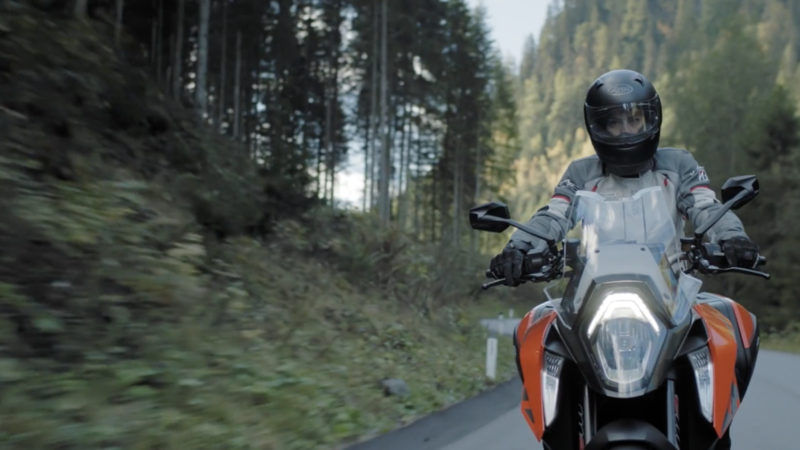 Discover the world of advanced sport touring. 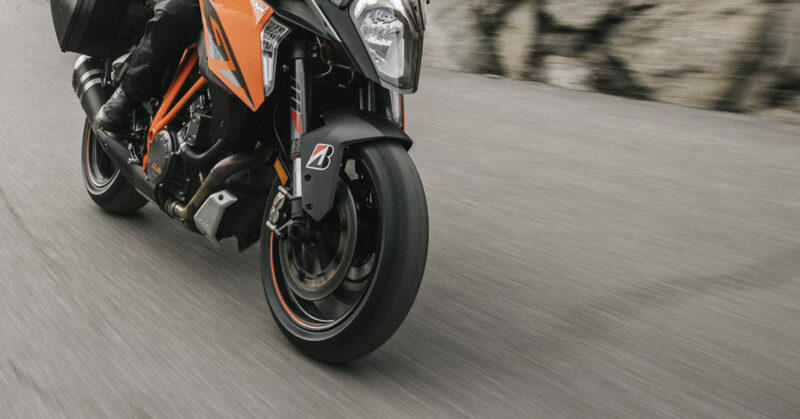 Most of us don’t ride on a perfect stretch of asphalt all the time. We roam the real world. We deal with roads that vary in quality and a climate that varies in mood. But that doesn’t mean we can’t be as safe as possible - and have as much fun as possible. 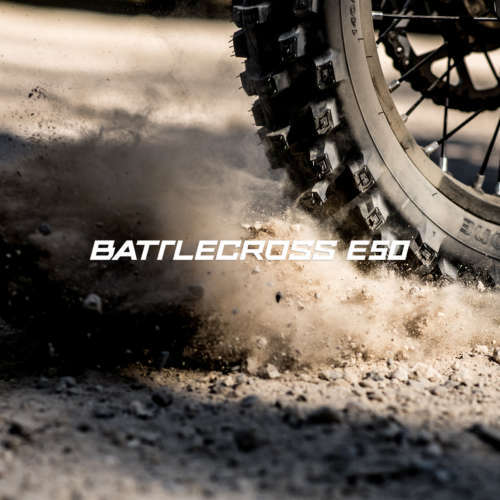 Meet Battlax Sport Touring T31, Bridgestone’s new flagship when it comes to the combination of performance and safety. 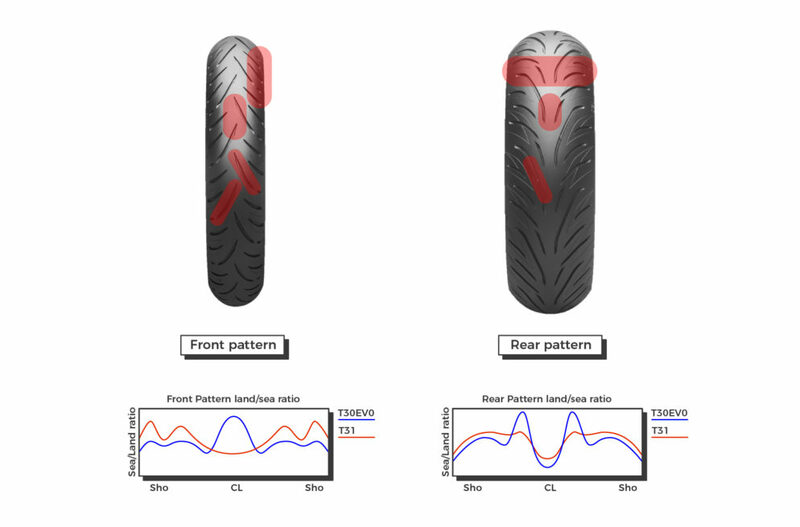 Much of this is related to the outstanding contact feeling and feedback you get from the tyre. 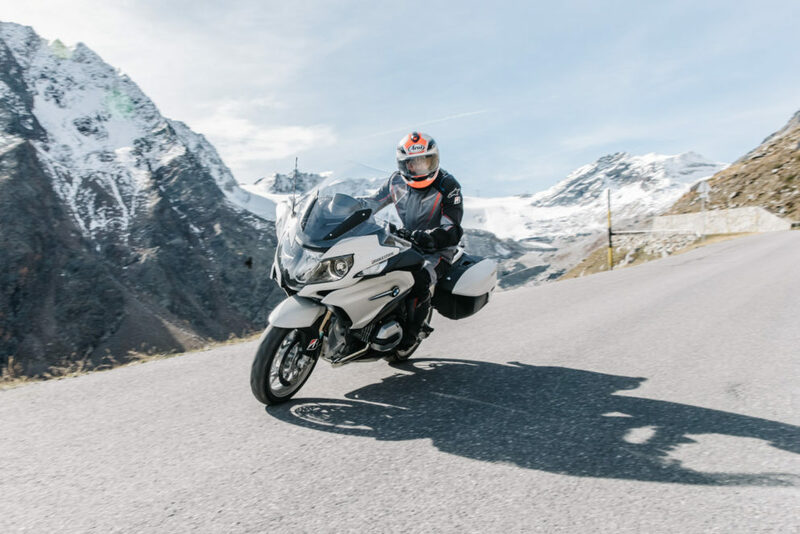 An innovative pattern design and compound upgrades aim to make every sport touring rider confident - regardless of road or weather conditions. 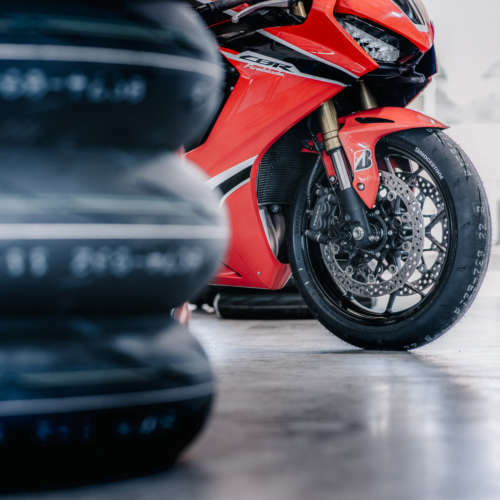 Speaking of which: Bridgestone R&D took the dispersion of Silica inside the rubber to the next level, which makes a big difference when it’s cold and wet without sacrificing the excellent life span. Add to this a bigger contact patch in all lean angles and you know why we’re confident putting the sport back in ‘sport touring’. 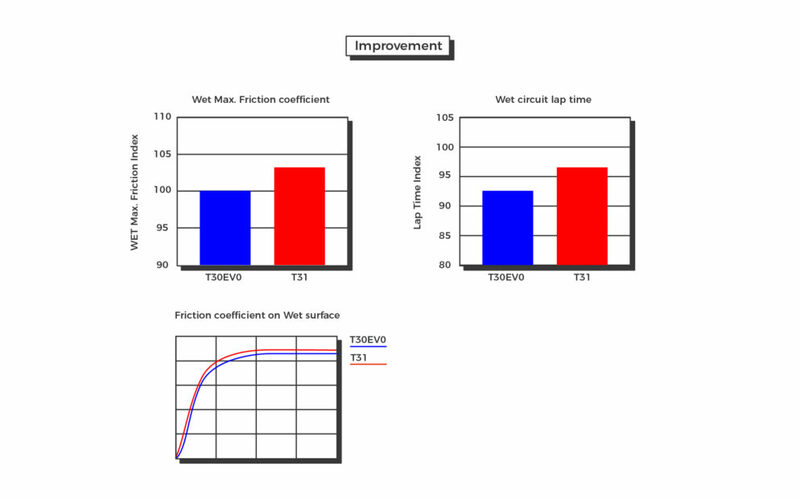 By adopting multi-compound layer technology for the rear tyre in a cap-and- base configuration, by implementing an innovative pattern design and by means of a newly developed groove positioning, both water drainage and grip levels skyrocketed, while brake distances shrunk. Even in very low temperatures. Ultimate Eye (U-EYE) is the newly developed indoor testing facility by Bridgestone R&D. 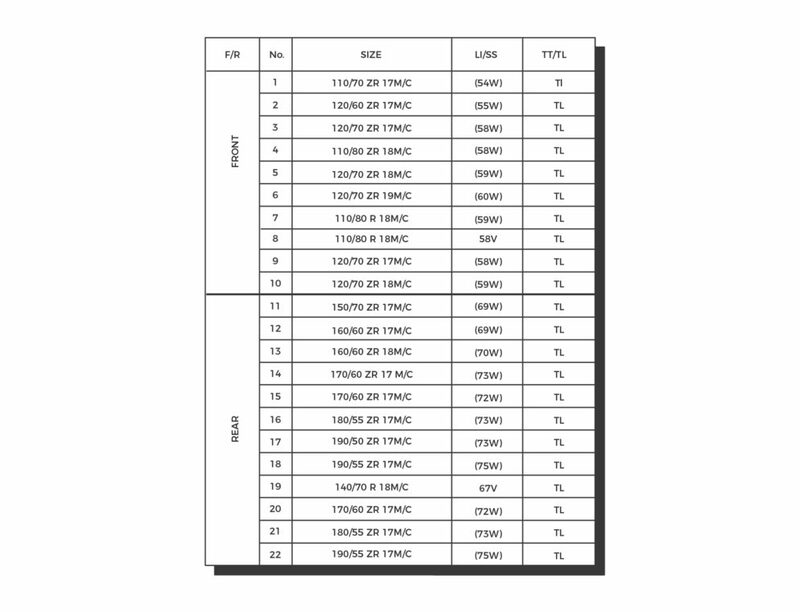 U-EYE visualizes the behavior of the tyre under different speeds and conditions, analyses contact patch pressure distribution and helps find the optimal combination of compound, tread design, construction and profile. 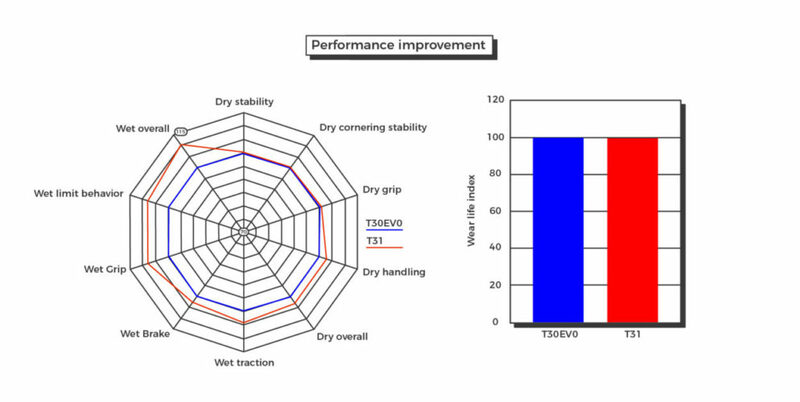 In the case of T31, the data clearly shows a bigger adhesion area of the tyre and a smaller slippage area, therefore improving wet grip and dry handling response. Grip. Stability. Precision. Comfort. From the very first (of very many) miles, in the most diverse conditions. And with telepathic levels of feedback.